For comprehensive pediatric care, trust none other than Kids Town Pediatrics, P.C. We are the go-to children’s healthcare services provider in Decatur, AL when it comes to quality and reliable medical care solutions for your precious little ones. 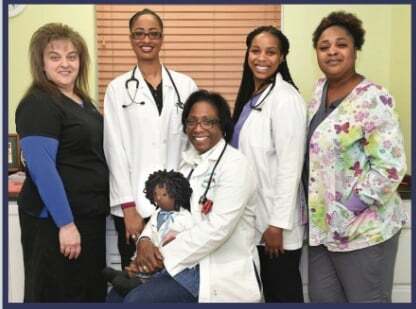 It is our mission to provide the superior primary care in a family-centered environment, meeting the needs and requirements of every child entrusted to us. Kids Town Pediatrics, P.C. is an established pediatric office providing extensive medical care services for newborns and kids. Our professional pediatricians are well-equipped with knowledge and expertise to deliver the excellent healthcare solutions tailored to meet the medical concerns of your children. From scheduled check-ups to emergency consultations, rest assured that we will deliver the quality health services your children need. No matter what your children’s pediatric care needs are, rely on us. Feel free to get in touch with us today to discuss your children’s healthcare concerns. A knowledgeable representative will accommodate and acquaint you with the details that will address your queries. You can also schedule an appointment with one of our medical experts for your children’s specialized assessment and consultation.